The popularity of Be Our Guest is not surprising! The theming is amazing and the Magic Kingdom has long needed another restaurant. What is most surprising is how hard it is to even get a reservation for dinner! Guests are rightfully asking why can't I get a reservation even 180 days out? Keep in mind, that Be Our Guest is only taking reservations for dinner when it is a table service location. So there aren't many reservations available to begin with. Then take into account that guests checking in up to 10 days before you are already making their own dining reservations and taking up some of those precious few reservations. So what are the best strategies for getting a Be Our Guest reservation? My personal answer is....use a vacation planner who will make dining reservations for you. Your vacation planner knows the best strategies and will make your reservations. Reservations open 180 days before your check-in date. 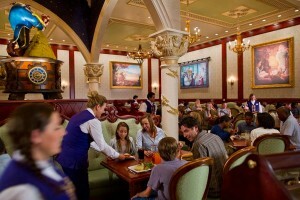 Be ready to make reservations at 6 am EST online through DisneyWorld.com or 7 am EST by calling 1-407-WDW-DINE. In fact call in a minute early and be ready to hit redial! Once your call is answered press "0" (zero) followed by a "2" (two). That will get you to an operator quickly. Make sure you have your resort confirmation number available to expedite the question and answer portion of the call. If you are going to Walt Disney World at a busy time of year, your best option is to try to get a reservation at Be Our Guest later into your vacation. So look for a late date first and if it is available grab it! You can always ask for a reservation on a earlier date next. If you have a party of more than 4 guests be willing to break up and make multiple reservations. Sometimes you can get multiple reservations that are close in time. But even if you have an hour or more between the two reservations go ahead and make the reservations. On the day of your reservations just ask at the podium if your entire party can be seated together despite the different reservation times. Your wish may or may not be granted so try to be flexible! Before and during your vacation keep checking back for cancellations! 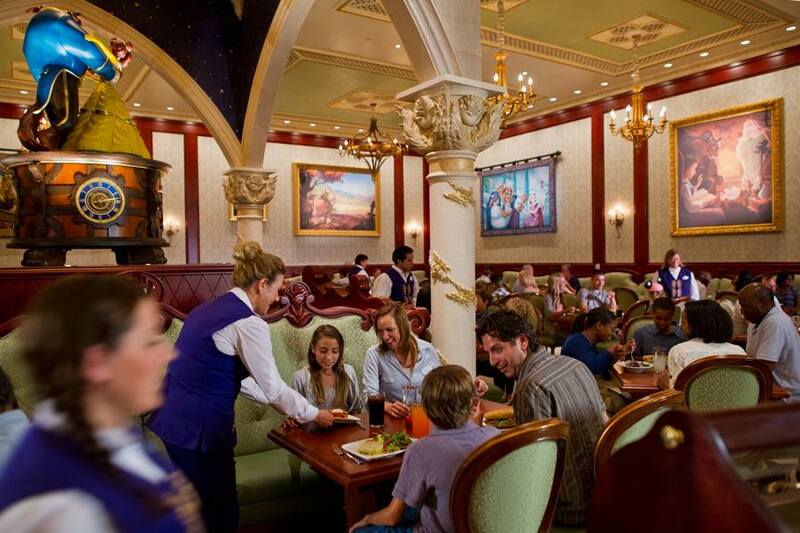 You can call dining at 1-407-WDW-DINE or check with your resort concierge. Keep in mind that guests have to cancel their dining reservation the day before to avoid the dreaded penalties so you might get lucky if you check the day before you want to dine. Finally, if you still don't have a reservation on the night you want to dine, just walk up and ask if there is availability. The best times for getting in are when the restaurant firsts opens or later in the evening (around 9 pm). If you don't get a reservation at all remember you can eat at Be Our Guest at breakfast or lunch when it is a quick service location!